Bansi Lal Kohstani is the legendary person who represents our near past and charters our distant future. He is best known for his anti-corruption crusade. And his other contributions in public life are equally remarkable. He created a work model which inspired politicians, bureaucrats and the common man to work together as a team and achieved dramatic results. Hence I consider him an inspirational legend amongst us. 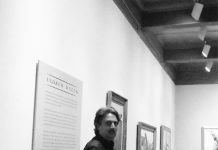 An effort is made to put across some of his dramatic contributions in public life hoping that they will inspire the posterity. 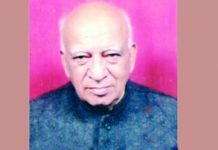 He represented Reasi as MLA in the Govt of Jammu and Kashmir from 1967 to 72 when G M Sadiq was the Chief Minister and served as Chief Parliamentary Secretary. He dedicated his life to the service of the deprived section of the society. He also excelled as a poet, columnist and writer. He is a record holder in Guinness Book of World Record for over 50,000 hand written letters and 3,700 diaries which he started writing in 1943-44. Copies of various letters and all the diaries are in his possession. Besides, he has written 12 books. He was born on 21 March 1927 at Anantnag in Kashmir. 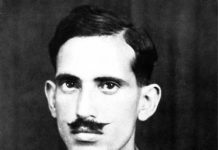 His father Jagat Ram was a Naib Tehsildar who passed away in 1945. His mother Smt. Nirmal Devi, who was 35 when the tragedy hit the family, boldly stood up to the challenges and took up all the family responsibilities single handedly. She brought up the children ambitiously to enable them to create a niche for themselves. She also undertook public welfare as mission of her life. As recognition of her relentless social work, she was nominated as Udhampur District President by the Congress. She defeated Lala Shiv Charan Gupta of the BJP in 1972 from Udhampur Constituency and was MLA till 1977. (like son like mother). Sh. 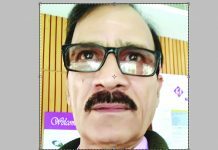 Bansi Lal did his earlier schooling in Anantnag. He took active part in debates from early days. Was an impressive orator. He liked poetry and started writing poems during schooling. 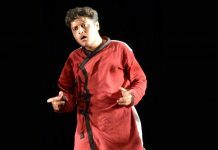 His book titled ‘Rahe Janat’, is a collection of poems written by him at the age of 13 when in 8th class. He passed 10th in 1943 getting first class first in Punjab University. He took up student leadership and became very useful representative of the student community. He passed ‘Adib Alam’ in 1944 and ‘Adib Fazal’ in 1945. Later he graduated from Punjab University in 1947, once again as first class first. He was awarded Gold Medal for standing first in entire Punjab region. During school days he formed a student union and named it ‘Prem Sabha’. In 1944 Sheikh Mohd Abdullah, who later became prime minster of J&K, attended a student union function at Anantnag. He was impressed with the fiery speech of young leader Bansi Lal. Sheikh invited him to join National Conference(NC) and made him member of the general council. Since he was underage, a special resolution was passed by the NC General Council for relaxing his entry age. Hence at 17, he became the member of NC. Thereafter he attended all General Council meetings and would stay in ‘Mujahid Manzil Srinagar’. In the year 1946-47, there had been lot of disturbances in India due to partition. There were riots all over. Many people were killed and many dislocated. Sheikh Abdullah deputed Bansi Lal to rehabilitate displaced people of Udhampur and Reasi districts. He was deeply upset to see the miserable plight and sufferings of the disturbed people. He therefore started writing poems and books on their plight. It was from then on that he came to be known as Kohistani, meaning the one whose heart was with the people of Kohistani. (Kohistan is in Pakistan, East of Indus, from where Hindus migrated to India). Not himself Kohistani, became Kohistani by indentifying with their miseries, is creditable. During the period of disturbances, he remained busy with rehabilitation of displaced people and wrote books and poems on their sufferings. Two such books related to the displacement are (i) Ujre Gharon Ki Tamir aur Taqdir, and (ii) Pahari Gharon Maen Naya Kashmir. They became very popular. His another novel ‘Shanti’, which he wrote in early seventies, became equally popular. 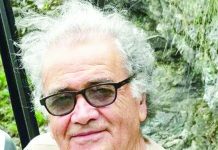 He started writing editorials in the weekly newspaper ‘Chand’ under the title “Rishwatstani ko Ja’ez Krar dia Jae aur Sarkari Aodhe Nilam Kie Jaen”, at a very young age. They hit the headlines. It became embarrassing and a cause of concern for authorities. 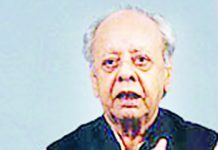 Being a prolific writer and a social activist, he developed cordial relations with Sheikh, other politicians and bureaucrats. They respected him for his selfless service. 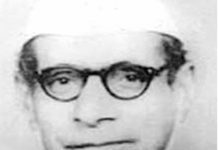 Despite being member of NC and closer to Sheikh Abdullah, ideologically Kohistani Sahib was inclined to Indian National Congress which he inherited formally after GM Sadiq founded Congress in J&K. Thereafter he remained a very loyal Congressman despite differences with Sadiq Sahib on certain issues. 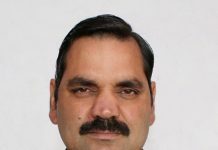 Due to his remarkable service record and visionary inclination towards Panchayati Raj as means of development of rural areas, Bakshi Ghulam Mohd, the prime minister of J&K after Sheikh, utilized his vision and talent in Panchayat and Revenue departments by making him Inspector of Panchayats. 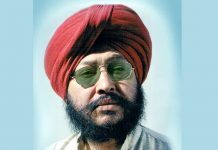 Bakshi Sahib held him in such high esteem that whenever he went on tours of rural areas, he would take him along in his car and would discuss issues related to the development. It was rather surprising to see an inspector travelling with the prime minister whereas ministers and commissioners, part of entourage, following the prime ministers car, one behind the other. On one such tour to Pauni-Bharakh (my maternal village, hence known) in 1954/55 it became so obvious that the prime minister discussed each and every issue with him only in the presence of ministers and bureaucrats who felt ignored and neglected. This visit remained talked about for long. The practice continued. Kohstani Sahib’s suggestions were implemented steadfastly. Due to his serious concerns for the poor living in remote areas, he was elevated to Dy. Director in Social Welfare Dept. in 1960. 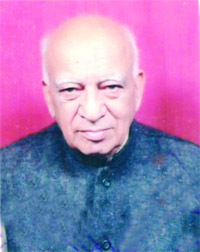 He resigned his job on being appointed MLC by Bakshi Sahib in 1962. He remained MLC till 1965. 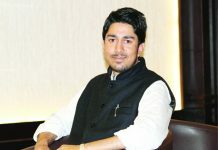 He became so popular among the masses that Congress fielded him against Praja Parshid strongman and tall leader Rishi Kumar Koushal in Reasi constituency. As was obvious, Sh. Kohstani won the election in 1967 with a remarkable margin. He was made Chief Parliamentary Secretary in the govt headed by G M Sadiq. During his tenure as MLA and Chief Parliamentary Secretary, Sh. Kohistani not only undertook development works in his constituency but attended to the development issues of entire Jammu region. He focused mainly on the Bamhag area of Udhampur comprising of Panchari, Ladda Dhar, Nagote, Sawla Kote, Reasi and Pouni-Bharakh since these areas were very poor and backward. 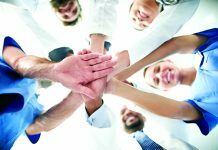 He involved people in the development of these areas by making them contribute financially, materially or in workforce itself. This way he made them participants in construction of schools and dispensaries which he later got regularized from the govt agencies. When Sheikh Abdullah returned to power in 1975 by virtue of Indira-Sheikh accord, he sent a special emissary to Sh. Kohstani at Udhampur with a hand written request to join his cabinet. Sh. Kohstani respectfully declined the offer and replied the letter saying that being a Congressman, he can’t join his govt. By declining a lucrative ministerial berth in Sheikh cabinet, Sh. Kohstani upheld his principles and moral values for which he is immensely respected.